The MyoStim brings to you the most advanced and cutting edge technology to help alleviate neuro-muscular pain. The MyoStim works by creating a pulsed electric stimulation between 1-100Hz to relax or activate select muscles of the bode. One 20 minute session using the MyoStim will complete 7 different massage / stimulation programs which simplifies the entire process for the user. Select from the 15 levels of intensity for the desired result. Simply put, the MyoStim is extremely easy and effective to use for anyone any time. 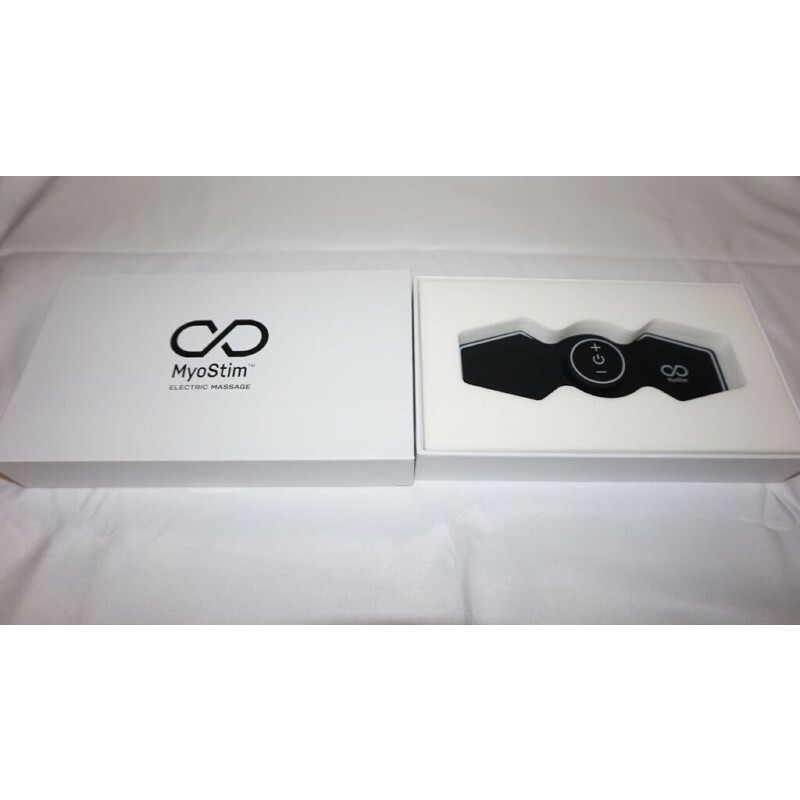 The MyoStim® works by creating a pulsed electric muscle massaging stimulation between 1-100Hz to relax or activate select muscles of the body. One 20 minute session using the MyoStim® will complete 7 different muscle massage programs which simplifies the entire process for the user. Select from the 15 levels of intensity for the desired result. The MyoStim® is extremely easy and effective, passive massage tool to use for any body, any time, anywhere.